RBPM Maintenance Solutions - Bathrooms, Carpenter, Kitchens, Painter/Decorator, Plasterer based in Isaacs Lane, West Sussex. 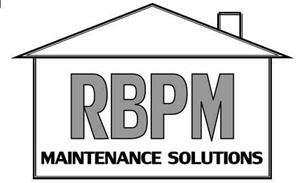 RBPM Maintenance Solutions are specialist Kitchen & Bathroom fitters based in the heart of Sussex. We offer a full plan and design service and all our work is carried out by our own highly skilled tradesman - we do not outsource. As we do not rely on other trades our jobs run more efficiently, more cost effective and most importantly our standards are exceptionally high. More often than not whoever starts your job will finish it. We are specialist composite worktop fitters. We also have expertise in painting, tiling, carpentry, plastering, all general maintenance and refurbishments. Our list of jobs can include replacing a dripping tap to a full house refurbishment.